Had to share this with all of you, because it’s always nice to be included. 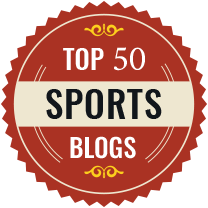 This blog, Life in the Fastpitch Lane, was recently featured in a blog post from Decker Sports highlighting their picks for the 7 Best Softball Blogs to Follow. Wow, that’s a lot of “blogs” in one paragraph. It really does feel good to be selected to the list, especially looking at some of the others that made it. Unlike coaching, where you can see and measure the results with each session, blogging is kind of a solitary activity. You throw things out there you find interesting and/or helpful, and hope it resonates with at least one other person. But unless someone leaves a comment (hint, hint) you just never know for sure. So it’s great to see the kind words the folks at Decker Sports shared. From the beginning, my goal has been to make Life in the Fastpitch Lane helpful and informative. Despite the fact that I’ve been coaching girls fastpitch softball for more than 20 years now, I still learn new things every day. I credit not only other coaches in the field but also my students. They’re constantly driving me to come up with new ways to explain something, or to create new drills and ideas to help them learn. One of the biggest challenges is trying to get into the head of each individual to understand why she is (or isn’t) doing what she’s doing, what it feels like or looks like or sounds like to her, so I can teach her in a way that will work for her and more importantly help her achieve success on the field. That can be challenging enough with an older player. It can be mind-boggling for an old coot like me to try to think like an 8 year old girl. Yet that’s what also keeps it fun and exciting. I hope I never get to the point where everything just works automatically the first time all the time. How boring would that be? So as I discover new ideas and approaches, I will continue to share those insights with you. If each post helps just one softball player achieve success and feel better about herself, it’s more than worth the time and electrons. And thank you again to the folks at Decker Sports. Be sure to check out their website for the softballs and training products they offer, and their blog for more training tips. Earlier this year I blogged about a fantastic fastpitch pitching event held, of all places, in Southeastern Indiana. Put on by Rick Pauly, hosted by Indiana United Elite Fastpitch and Coach James Clark, and featuring an array of top-level pitching coaches, it was an incredible learning experience for players, parents and coaches alike. Never one to be content to rest on his laurels, Coach James has outdone himself with the latest iteration. The 2017 clinic, again in Richmond, Indiana, has expanded in its scope to not only offer top-level pitching instruction but also clinics on hitting, catching, the short game/slapping and defense. This year’s instructor lineup is impressive once again, with college coaches and former college and NPF players offering hands-on instruction. The nice thing about these clinics is they’re not like so many, where they show a big name who is the “face” but then have very little interaction. The faces you see on the flyer will all be actively participating in or leading the instruction. Throughout the weekend there will be plenty of time for discussions and questions too. One of the highlights for me last time was many of the instructors gathered together in a room tossing around ideas and opinions until the wee hours of the morning – all part of an impromptu session that began with a simple question. Those little side conversations alone are worth the price of admission. Coach James promises it will be bigger and better than ever, and I believe it! The clinic runs the weekend of January 6,7 and 8, 2017 – timed this time to both make sure it didn’t interfere with high school and college seasons and to give players time to lock down what they learn before tryouts begin for spring high school ball. Click here to register, and here to schedule the sessions you want and to pay. Most sessions are $70 each and run an hour and 15 minutes. The exceptions are the recruiting discussion that costs $25, and the beginning and advanced pitching sessions with Rick and Sara Pauly which cost $150 and are scheduled for 3 hours, although last year Rick was having such a great time he ran a bit long on both sessions. Download the flyer for complete information, and then be sure you sign up now. Slots are filling fast. I’m sure you’ll find it’s a great investment in your softball future. As someone who has a broad interest in the state of youth sports in general as well as fastpitch softball specifically, I’m always interested to read articles on the topic. There’s no doubt that the U.S. (along with more and more other countries) has become sports-crazy, to the point where it is having a negative effect on young players. There is one aspect that always strikes me as missing the mark, however, which is their description of instructors. Maybe it’s because I’m a private softball instructor myself, but I don’t think it’s just me taking it personally. When they talk about how crazy parents have gotten, sooner or later the articles will refer to how on top of everything else parents “then drag their kids to an instructor to spend even more time on their sport, usually in the hopes of acquiring that D1 scholarship.” Or something to that effect. It’s not an actual quote, just a sort of paraphrase of what I’ve seen. That may be true in some cases. But for the most part I see the role as being somewhat different. In the good old days these pundits like to talk about, they say kids just showed up at the field and learned to play there. They didn’t need all these adults around. Well, the reality is that was wonderful for the kids with great athletic ability. You know the ones I’m talking about – you give them a ball, or a stick or some other piece of athletic equipment and they’ll instinctively know what to do with it. But maybe not so much for the kids for whom it didn’t come naturally, or who hadn’t grown into their bodies yet, or who were a little slower in developing their motor skills. Basically what happened was they got left behind quickly and never had the opportunities to advance in a sport they may have loved but weren’t particularly good at yet. They got weeded out early. That’s why I say a good instructor can level the playing field. He or she can take a player who may not be the greatest athlete and teach him or her to be competitive and find success on the field, court, rink or whatever. Success being defined by the player and his or her family. I’ve worked with a lot of kids who had no ambition of playing in college – not just at the D1 level but at any level. Some just wanted to be successful in high school, or on their travel team, or in their rec league. They wanted to get off the bench and become important to their teams. Is there something wrong with that? I don’t think so, and if I can help them achieve that goal where they might not have otherwise it’s terrific. Not everyone was blessed with great DNA or grew up in a family that played sports all the time. A good instructor can help make up for those “disadvantages” and level the playing field, giving them opportunities they may not have had otherwise and helping them to achieve all they can achieve. Of course, even the best athletes can use a little help along the way to shortcut their learning curve, and they’re fun to work with too. My point is that most of the parents who take their kids somewhere for instruction aren’t the ones you see in TV documentaries and NY Times ads, relentlessly trying to drive their kids to sports success they themselves never achieved. They’re just trying to help their kids feel good about themselves and build some great sports memories. People often use the phrase “it’s like riding a bike” To refer to how easy it is to pick up a skill again when you’ve been away from it for a while. When it comes to softball training, however, there’s another use. Players will often get impatient with themselves when they don’t pick up a skill right away. Pitchers will be wild when trying a new pitch). Hitters will swing and miss while working on improving their swings, or hit a popup or soft dribbler. Catchers will go for a block only to have the ball go between their legs. Lots of different things can happen. When they do, I will often ask if they can ride a bike. I have yet to run into one who can’t. I’ll ask them if they have to think about how to ride a bike. They always respond no. Then I ask them if it was always that way. What happened when they first took off the training wheels? Usually mom or dad held onto the seat and ran behind them until they were ready to take a few tentative pedals on their own. Eventually, though, they figured it out. And once they did, they probably never gave it much thought again. The same goes for softball skills. At first they can be difficult, and require a lot of thought (as well as a lot of trial and error). The success rate may be fairly low. But the more they do it, and really go after it, the less they will have to think (or worry) about it. It’s a thought that seems to resonate. They know there were scraped knees and elbows at first on the bike, but today the only remarkable thing would be if they fell off. When players get frustrated, remind them of their experience riding a bike. It might help them get back on track. How do you help players learn patience while they’re learning a new skill? Any tips or tricks you’ve found helps them understand?